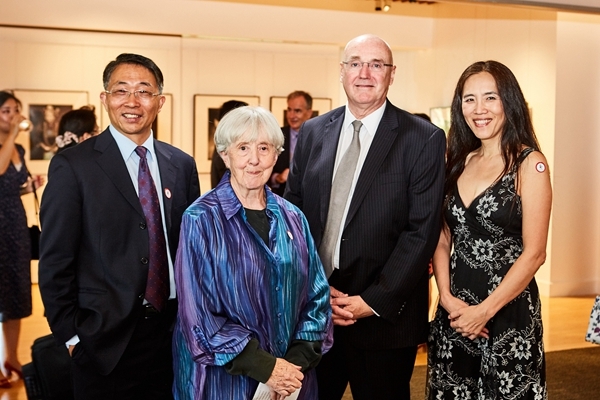 On 12 December, 2017, the Australia-China Institute for Arts and Culture hosted a reception to mark the unveiling of a major artwork that has been installed. 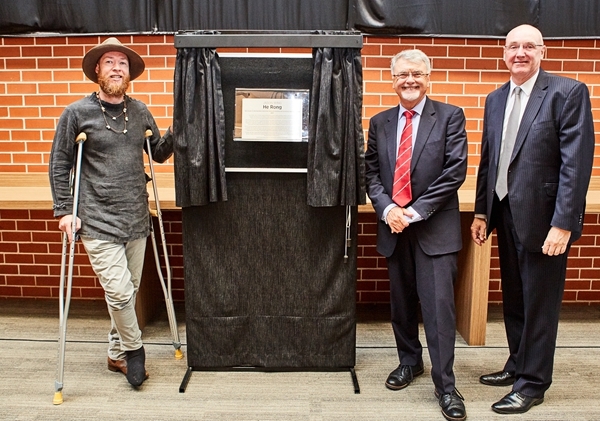 In his address, Vice-Chancellor introduced the formation of the Institute and thanked the founding Director, Professor Jocelyn Chey, for her commitment and effort. 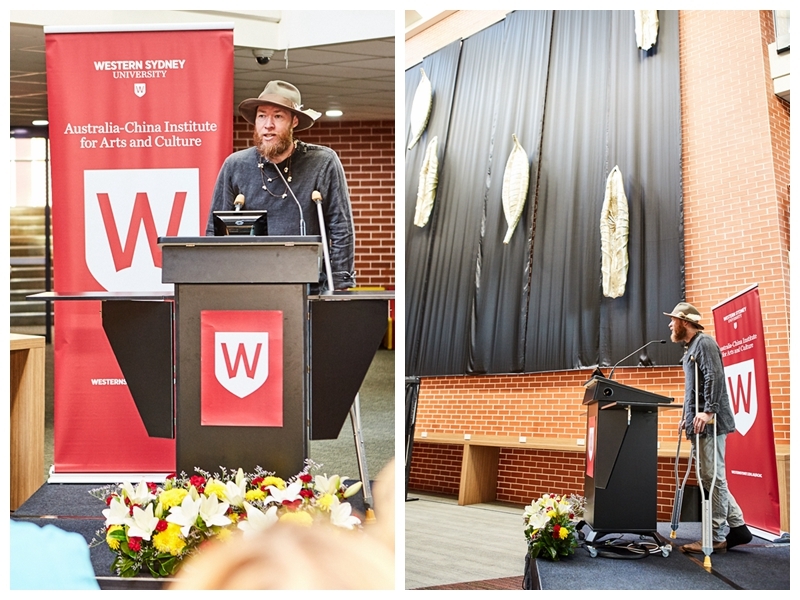 He also welcomed the new Director, Professor Labao Wang, to Western Sydney University and said that he hoped that under his Directorship the Institute would continue to flourish in the new year. Dr Alison Short introduced the work of the Music Therapy Centre at WSU. 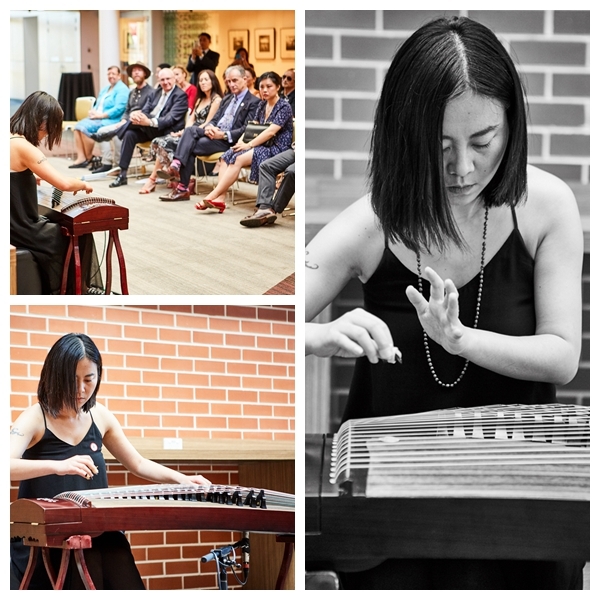 One of the Centre’s Master degree students, Amelia (Haoyue) Kuang, contributed by playing the guzheng (a classical Chinese instrument). 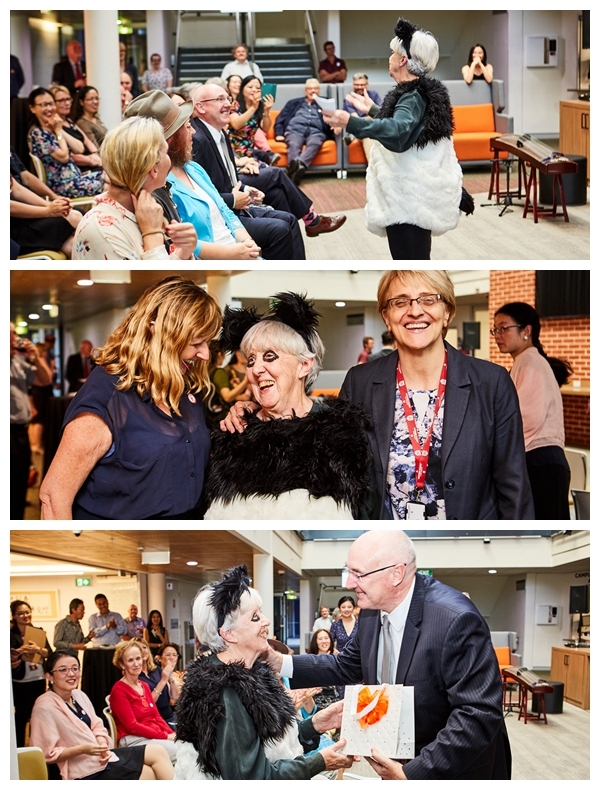 In a surprise appearance, founding Director Jocelyn Chey finally wound up by taking over the stage in costume and she entertained guests with a musical rendition to enhance the festive season atmosphere. She thanked everyone for helping the Institute and wished the guests a Merry Christmas and a Happy New Year!